In love with this poncho, you look amazing dear ! I love ponchos for fall, this looks so lovely on you! Oh my goodness, that poncho is my favorite! So cute! Stylish outfit, you look so fashion in this outfit! What a gorgeous poncho you're wearing! Such a cool poncho! I love the drapy back. I bet you are busy with retail and the end of a semester. Stunning look! The poncho is gorgeous! I love ponchos! This one you're wearing is fantastic. I love the print. I have fallen in love with ponchos this year. I think I will be wearing them a lot. This is such an easy, airy and beautiful look! You take such lovely photos too! Thank you for sharing and have a wonderful week ahead! 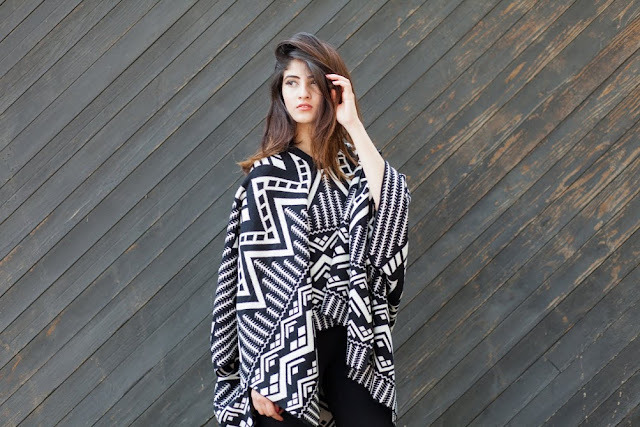 Such a cozy poncho, I love the geometric pattern! Stunning poncho!!! Great styling girl! Have a fabulous weekend darling! Oh, don't worry, it had been difficult for me as well and I diminished my posts to once a week only. December is so hectic! I found your shoes fantastic and your poncho really amazing! You look stunning, sucha great outfit! Have a fabulous "week" darling! That poncho looks gorgeous with these shoes! Such a lovely poncho, Zee! I also adore those booties, too, so fab! Thanks so much for sharing and I hope you have an amazing day and week ahead! What a beautiful poncho! I love the bold pattern! ooooh that poncho looks absolutely COZY for lazy weekend adventures! Very nice look dear, kisses! So cute! I was just looking at a poncho I have in my closet that I never wear, thinking I need to pull it out! You have inspired me! This is such a pretty chic outfit! I'm jealous of the poncho girl! You must be so busy with school and work during this time of the year. That poncho is such a pretty piece! I love the camel shoes! Have a great week! Awesome poncho, I love the relaxed, oversized shape of it. It looks so chic with those heels! Girl this poncho is everythingggggg!!! The print and the way you've styled and carried it is fantastic!! Amazing poncho, love this look! Happy December, Zee! Glad you're back! 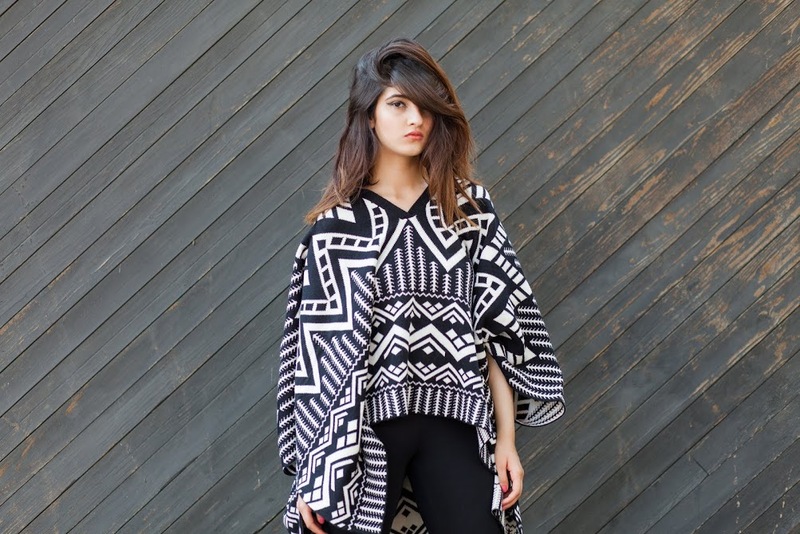 I'm loving the oversized design of the poncho and the black and white ethno print suits your perfectly! Happy December to you! I totally understand the working hours craziness, I've seen the stores lately and it's crazy! I love the oversized poncho! The pattern is great! Definitely digging the print on this poncho, lady! So cute! Such a fabulous look on you! You rock that poncho look. You're absolutely beautiful! 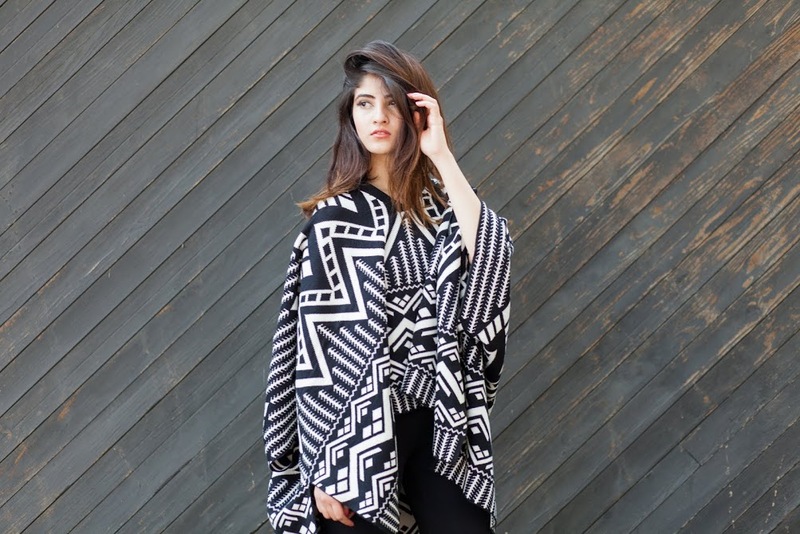 Love the poncho, the print is fabulous. love ponchos! This is a great one as well, love the print. You are wearing the poncho in such a cool way! That poncho is gorgeous, I love the design on it! You look so lovely! the poncho makes the look so much more interesting, love it! Really nice photos and look! Your looking so chic with this poncho babe. So pretty and love the print. 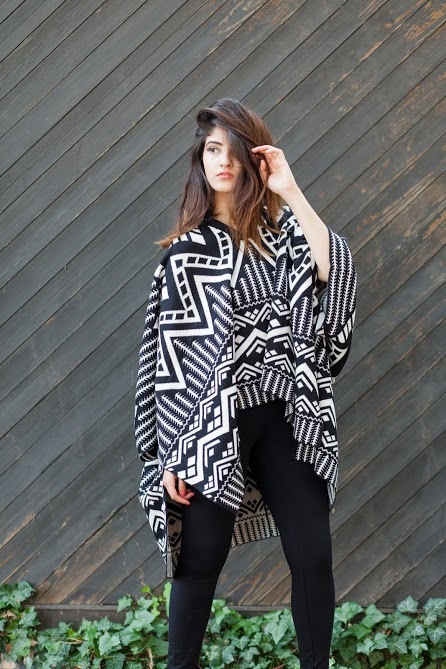 Love the print of your poncho paired with the cognac heels! Cute poncho and those heels! Love, love ponchos. Yours is amazing. I love this on you, so cool!